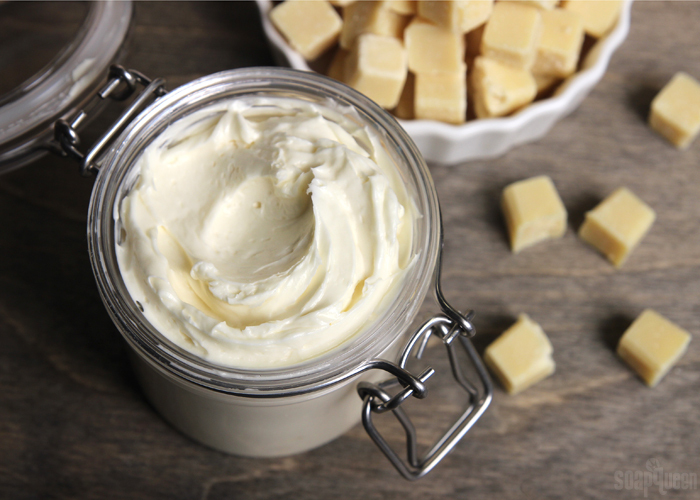 This week the blog was full of quick and easy holiday gift ideas, like the Cocoa Butter Cashmere Body Mousse. Once you whip together the jojoba oil, cocoa butter cubes, avocado butter and delicious Cocoa Butter Cashmere Fragrance Oil, it’s ready to package and gift to loved ones. Find more inspiration and recipes in the 10 Quick Handmade Gift Ideas post. Melt and pour is another quick and easy gift. 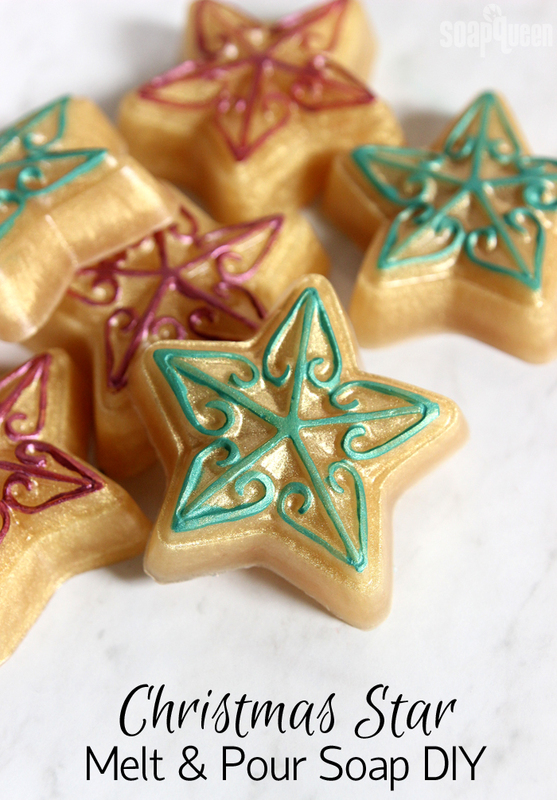 The Christmas Star Melt and Pour Bars are great for beginners. They are colored with the Shimmer Sparkle Gold Color Block and scented with Sleigh Ride Fragrance Oil. Once the soap is unmolded, Merlot Sparkle Mica and Shamrock Green Mica is painted on top. It’s a fun and festive project you can make with others. If you want to recreate a cold process design using melt and pour soap to have your gifts ready by Christmas, there are a few things to consider. While you can create swirls and layers with melt and pour, the consistency is too thin to create textured tops. 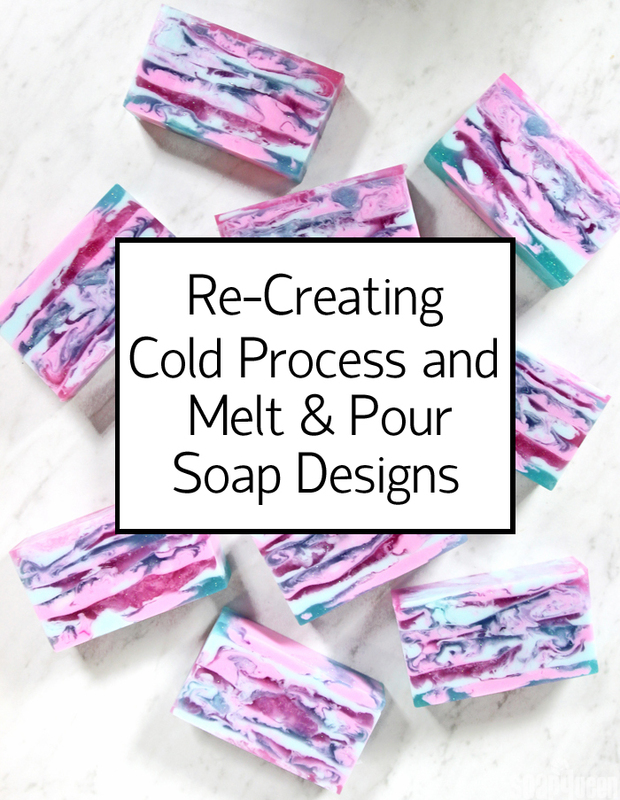 Learn more in the Recreating Cold Process and Melt and Pour Soap Designs post. 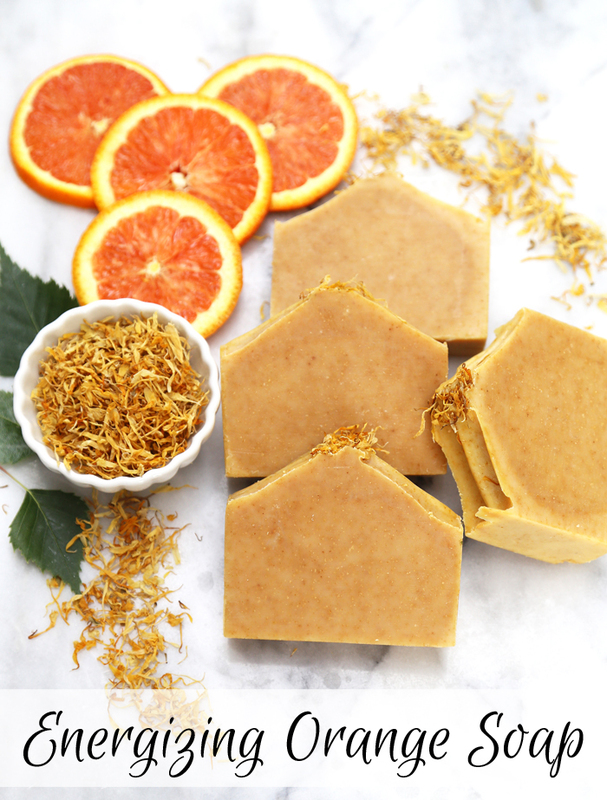 The Energizing Orange Cold Process Soap Recipe calls for a thick trace, which allows for texture and marigold petals on top. It’s scented with bright and fresh 10X Orange Essential Oil. The recipe is made with the Natural Kit for Beginners, which is an ideal gift for anyone who wants to give soapmaking a try. This week’s Facebook Photo of the Week by Flora & Pomona features gorgeous natural colors as well. 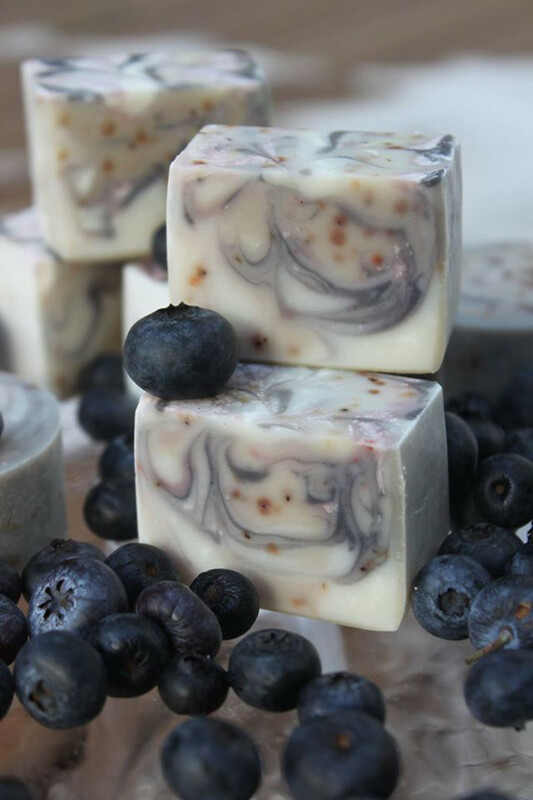 Their Blueberries n’ Cream Miniature Soap is made with coconut milk, blueberry juice and seeds, cocoa butter, alkanet root, madder root and activated charcoal. The bars are absolutely beautiful. I love the wispy swirls and specks of blueberry seeds throughout. Their bars are unscented, making them perfect for babies or those with sensitive skin. 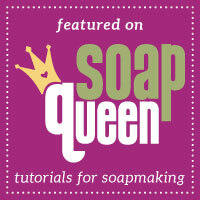 For more gentle soap, check out the Oatmeal Baby Soap. The Baby Buttermilk Bars feel amazing on sensitive skin. 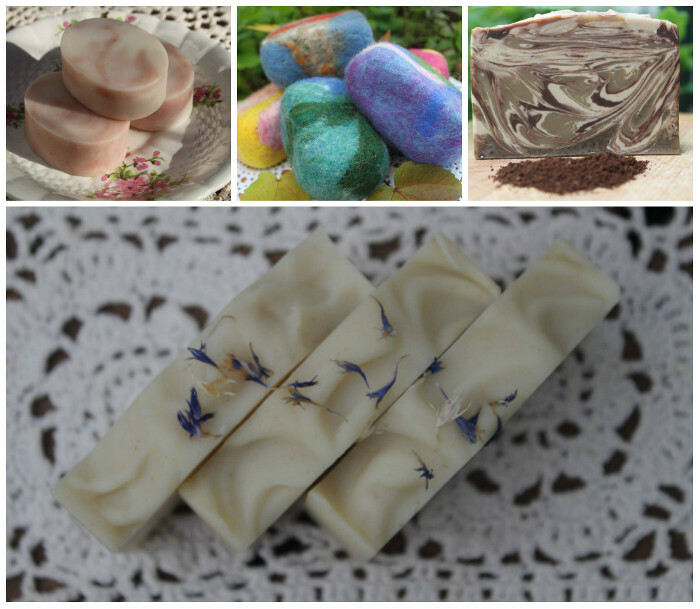 Above (clockwise, top left) are Flora & Pomona’s red and white bars, felted soap, Almond Latte soap and cornflower soap. If you love the look of flowers on soap, check out the Kombucha SCOBY Cold Process Soap. The Relaxing Lavender Soap is topped with lavender buds. 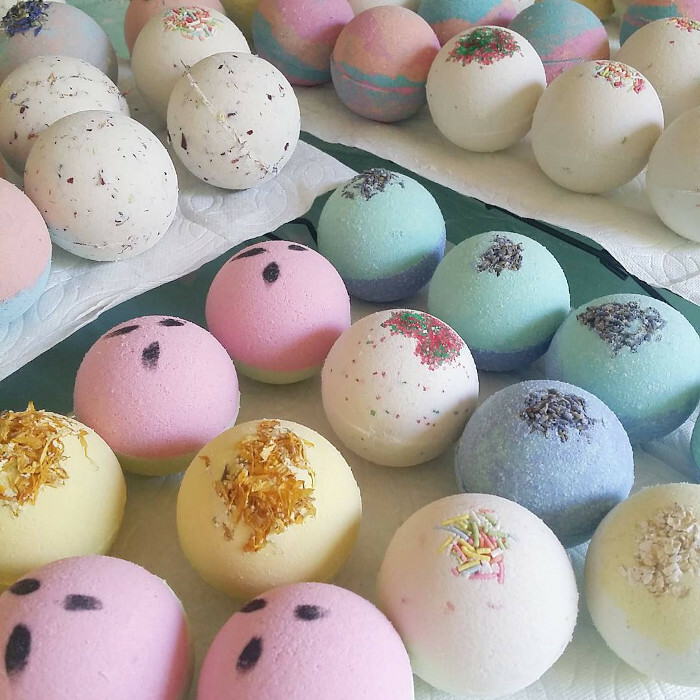 This week’s Instagram Photo of the Week by Soap Wonderful features bath bombs topped with a variety of ingredients, including calendula petals. They’re all so adorable. I think my favorite are the watermelon bath bombs. See more of their work on their Instagram page.